We all know roads are not always perfect like race tracks, we have to face unexpected wet patches, debris, temperature drops or uneven tarmac. For these uncontrollable variables, Metzeler has introduced a new concept of water drainage and contact feeling thanks to dual-compound on the rear tire combined with Interact technology and high silica compounds. The rear tire is Dual-Compound with a 40%-20%-40% layout. The shoulder strip has a 100% silica content that provide chemical grip on both dry and wet surfaces, supported by a harder compound in the substrate that grants the highest levels of stability and steering precision when cornering. This same ‘base’ compound exists in the central portion of the tread which covers approximately 45mm in width (with slight difference between sizes) and assures an elevated mileage capability. The main function of the profile is to influence the handling behavior of the tire. The profile of SPORTEC M7 RR Tires are directly derived from those used in the Road Racing activity by Guy Martin and other road racers. This profile provides an immediate dive into a lean from the upright position and agile handling for quick direction change.The shoulder portion is flatter, providing a 5% larger footprint which provides better grip and trajectory precision when leaning. Sidewall height is also increased by 3mm, providing more torsional-flexibility that increases the tire traction in accelerations and out of the turns. These tires came standard on my Super Duke R. They are good all-around - they are probably GREAT, actually, because the Beast probably puts them through a lot of stress. They have good (safe) traction when cold, seem to warm up quickly, have good traction in the wet, and also seem pretty dang strong in a good, sporty environment (nice day, warm air and pavement, appropriate pressure, etc). They have good stability on the brakes and entering turns, feel planted mid-turn, and have good grip on corner exit. I just changed them out after 3600 miles. They had a good 20% of tread depth left, but since I use them for a lot of commuting and around-town riding in addition to curvy roads, they were just flattened enough to require too much inside bar pressure in turns. Because this results in adverse forces going into the chassis when hitting a bump in a turn, I've changed them out. Overall experience with these: very good. I'll know more about how I feel about them after spending some time on my new Q3+s, and see if I can update this review later. Done 1000 Florida miles so far on these Metzeler's, riding 2014 Triumph Speed Triple -- definitely feels like a smoother ride than stock to me. Treadwear seems good so far but it's early. Not a rain or twistie rider so can't comment there. Price is right for a solid tire! I live in Austin where there are lots of hills and a ton of twisties. I commute on a 2018 Yamaha MT-09 and ride the hills hard on the weekends. These things have excellent traction and warm up quick. One of my favorite roads, Cow Creek Rd., is fast, twisty, and sketchy and these take the abuse. I will definitely continue to purchase Metzeler. I cant speak for the tread life yet, but so far so good. I've probably put close to 800 miles on them in 2 weeks. Great tire for a great price. Affordable, great grip, an all around solid tire. It's best feature so far is it's a very cool looking tire. I've been a Metzler fan for over 30 years. But, this will probably be my last set. It has a very high "balance limit", at 80 grams! And this particular tire took 75 grams. So....no replacement is offered. This is obviously NOT a good tire. Could have just zip-tied a 1/2" socket to one of the spokes. I was very politely told (seriously, VERY polite) by Revzilla there would be no replacement offered. Lesson learned; make sure you know what the return policy is before you buy. After-sale support is just as important as the initial price. Love these tires so far. On my second set on my ktm Duke 690. They are extra sticky and do a good job in the rain. They provide great confidence and feel like they could be on a track day without worrying. Really enjoy the feel, the compliance, and the turn in. Only real complaint would be, like most great rubber, they wear out kinda fast. I have a set of these on my Aprilia Shiver 750ABS. They haven't let me down! I ride primarily back roads to and from work (about 100km each way) with about 30km of expressway/motorway to finish. These tyres hang on when pushing on some pretty crappy road surfaves, including damp patches and other debris. The rear is getting a little work now after 11,000km but hasn't flattened off in the centre much due to the harder centre rubber and because I don't spend much time on straight boring roads. The front doesn't look worn at all. The Dunlops that were supplied new with the Shiver were completely knackered after only 4,500km, so I'm definitely slapping a new set of M7s on the bike shortly. Shame Revzilla can't ship them to NZ so I will have to source them somewhere else. I put a set of these on my VTR1000 and they have been excellent. As my bike is my daily rider, I ride in everything. So far the tires have proven to stick well in the dry and wet and maintain grip in the corners. Haven't had any issues and although the tires already have 3K miles on them they are just starting to show usage. I figure I will get another 3K out them. For me 6K out of any tire would be great but on these, given the added grip, is downright impressive. Great reviews from multiple sites and YouTubers. All around performance tire for less than ideal riding conditions. Decent reviews on the tire. I've had good luck with Metzeler tires so far. So with the added mileage that this tire should give me along with grip, it's the combination I'm looking for. Your product recommendations on your videos. You guys are the experts I trust. Read great reviews about this tire. Picked up a nail in my previous rear tire. Reviews make it sound like the tire that I need for my riding style. Recommendation from my friend Allan who loves Metzeler tires. Very good reviews and I am looking for a tire that can be used in road but with very sporty character too. I have a Kawa Versys 1000 and I think this tire will make the trick. Ordered these tires on my other bike and love them. Price was substantially lower than the Michelin PR4, and amazing reviews as a good tire for all weather, commuting, and hitting the canyons hard. Originally switched to the m7rr when my old mt60's wore out a few years back. 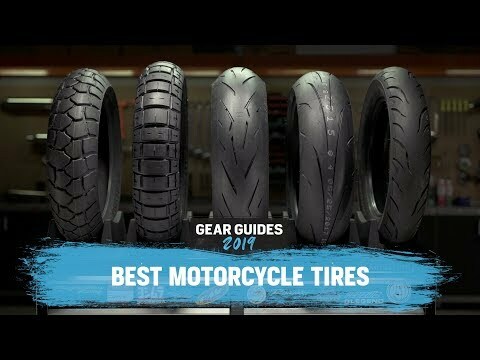 The m7rr is a MUCH better tire, both in grip and life. 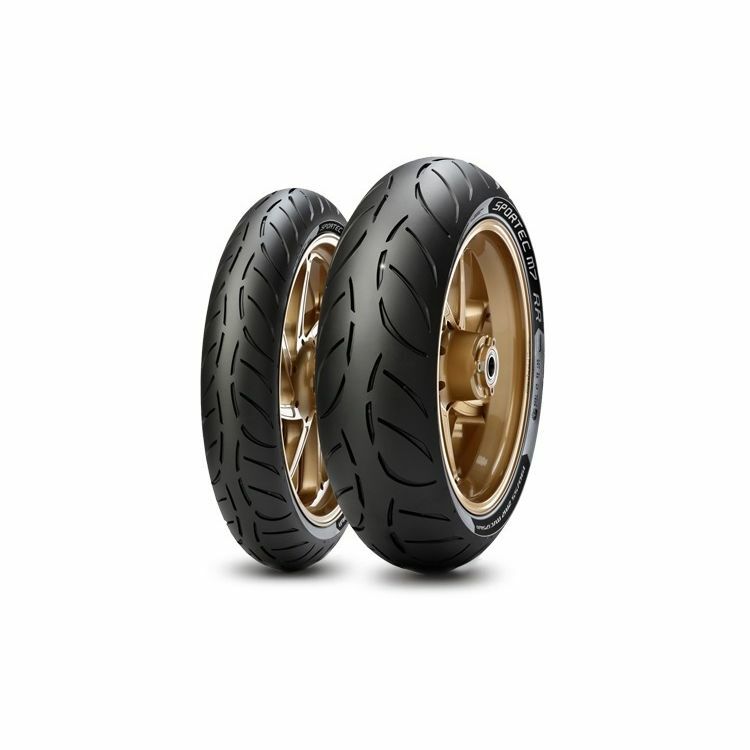 The dual compound provide a nice long life while maintaining phenomenal cornering grip. This will be my 2nd time buying this tire. This tire and tread pattern provides plenty of confidence in corners and in wet conditions at more than average lean. Reading reviews, comments and feedback from other motorcycle enthusiasts. Looking for everyday road use. These tires seem to fit the bill. Manager well in "less that idea" conditions. 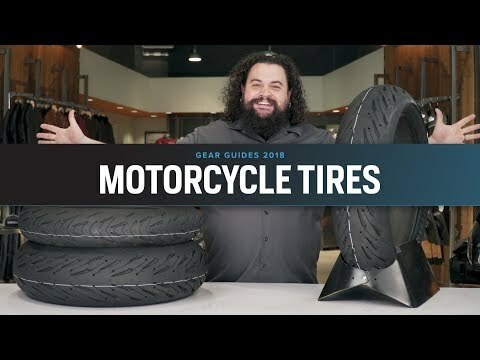 Very few choices for good tires that will fit my KTM RC390, and I'm pretty happy with the Metzeler Roadtecs on my Ducati, so I thought I'd try these out. Appeared to be the closest thing to the last set of M5s that I had and loved. I chose this tire due to the gear guide and the price. I ride on them currently and they have been superb. I got over 5k miles on the rear and the from is still going strong so I'm only replacing the rear. The price is unbeatable for the quality of tire you're getting. Sticks like glue on the track. Not a high mileage tire, but I didn't but it for that. Knowing what the tire will do is a pleasant feeling in the rain or on the track. This tire was one of the top reviewed and most recommended amongst other riders of the same bike I have. It got good reviews and I'm hoping to get better wear than my current Pirelli Diablo Rosso Corsa tires. Great tires with great traction at a great price! I wanted a nice, sticky tire in a small enough size to put on my supermoto. I wanted a tire that doesn't need extensive warmup, works well in the rain, cold, hot, gravel, dirt and also the falling apart road ways and gravel/salt piles that appear randomly on area roads. This is not a track day/race tire, except maybe for beginners or if it's raining but not enough to use wet or rain tires. I ride a 2003 Honda CBR RR. I had the M5, they were great, Thought Id try the M7. The M5 was better than a few other brands that I have tried in the past. Great performance and trustworthy grip in most conditions. Looking forward to trying the improved version with the M7 RR. I'm a little bit confused here..
M7rr or pilot power 3? BEST ANSWER: Go with the sport touring tires - the aggressive street/track tires are going to be a total waste, because you will never load them hard enough during normal commuting to get them up to temperature without lowing the pressures dramatically and killing tire life. For a couple of corners, you're going to be dealing with colder sport tires which grip worse than cold sport touring tires, as the sport compounds are designed to only work in the ideal temperature range (ie, hot aggressive use) whereas the sport touring tires are designed to work in all temperatures at all levels of hot/cold. I've seen sport touring tires ridden on the track at A group pace - if you fall down on them, it's because you failed to judge the conditions appropriately, not because the tires didn't have enough grip, and you likely would have been on the ground sooner with cold hypersport or street/track tires. I ride my bike for pleasure and dont really care about long life on the tires. The M7rr 's grip better than anything I have tried so far. My bike had pilot power tires when I got it and the M7rr's are much better in wet or dry conditions. If I was commuting I would look real hard at sport touring tires like Pilot Road 4's. I just did a track day on the M7RR and they did great on my Honda 919! An additional reason I bought them is for wet conditions. But m7rr grips a lot better..."
I've never had the pp3 tires but I don't think you could go wrong with either. I have the m7rr and they are great shoes. I am trying to figure out what height tire for my gsxr750, I have a 190-50 on the rear right now but I feel like its a car tire being that the center is wide and flat, should I go up to a 55? BEST ANSWER: Yes - move to the 190-55, or a 180-55. If you're the sort that likes a much more flickable bike, the 180 is what you should try, if you'd like something that's a little more stable and planted, do the 190-55. The 180-55 will be alot more nimble. The 190-50 is a little more stable but once in a lean it's easier to hold your line you will just have to muscle the bike a tad more. I'm in that weird phase where the rear needs a replacing but the front doesn't... I am planning on starting to run a sport touring tire on the rear with a more sticky front. I have heard a lot of good feedback from this combo... Currently I am running Pirelli Diablo Rosso 2's and was going to try out this new tire! Any thoughts on if running a M7RR rear with a Rosso 2 front will cause me issues? If so, I'll run a Angel GT rear/Rosso front or PR4 rear... I've just heard such good things about this tire! Personally man, ive always replaced both front and rear just as good measure having the same tires because then both tires run the same compound with the same construction and design. I bought these for my r6 because i commute and also want to be able to go on spirited rides. From what ive found and all the research i have done, these woukd fit my riding. I would highly recommend buying the same fromt and rear tire. If your this adamit about having two different tires, be sure of choice on tires man. I dont know if this helped but best of luck. I would highly recommend trying out the M7RR! It is a GREAT overall tire especially when doing some spirited riding. I'm not the hugest proponent of riding with two different compounds of tire but if were to run two compounds, I would try to stick with the same company. Only reason I say this is because each brands compounds are a tad different. Some have small differences, others have huge differences. Good luck with your search and your decision!! I really like the m7rr rear tire. It feels great in cornering and looks like it going to last longer than the Michelin pilots I had.. I will be buying it again when needed. That was I was wanting to know. Finally, Metzeler getting back to it's roots! They are owned and made in the same factory as Pirelli's flagship tyres... in this particular case, Deutschland (Germany). Hi sir, i am confuse between pilot power 3 and metzeler m7 rr. I want to use it on road and track. So can you please suggest me which tires would be good for both use.? BEST ANSWER: Get the Metzler M7's! I used to use nothing but Pilot tires bot the M7's are by far better in ever aspect including price! There are some very good track reviews for the M7 on YouTube, search and check them out. I am trying to figure out what height tire I need , I have a 190-50 on the rear right now, im not happy with it because the center is very wide and flat almost to the point of feeling like a care tire on the rear , do I need to go to a 55 or will that help in the cornering? BEST ANSWER: My M7 RR rear tire is made in Germany. I haven't purchased a front yet as I still had enough tread on it, but both my front and rear K3's and M5's were made in Germany so I have to assume the M7 RR front is as well. I've got 1500 hard miles on this tire and it looks like I could get 4K out of it vs 3K out of the M5. You'll love this tire. That is correct...Metzeler are made in Germany and I believe is owned by or parented by Pirelli. Do you have this specific tire? Some metzeler are made in china. Hey guys, I need to replace the tires of my Ninja ZX6R 636 2005,I need some advise. I use my bike daily to get to work so that's about 25 miles daily, might get some rain sometimes, we also like to hit the road on weekends, sometimes go hard on the highway and sometimes we like to take some curves and lean. BEST ANSWER: Brandon M, I recommend Metzler M7 RR. The tires are great in the rain, dry and even on some dirt roads. Keep the tire pressures to manufacture specifications (Metzler) 36 front 42 rear and you will get great life out of em and awesome grip. I did 6 Trackdays on my r6 and a bunch of miles. You won't be disappointed. I came from Diablo Super Corsa to the M7 and feel a lot more comfortable on the M7. Made it to the chicken strips a lot sooner then on the Pirellis. You do not say what tires you are coming from. These tires have a different profile check out their web page for an explanation of the shape. Been caught only once in a flash flood type rain with hail. They did pretty good going thru about three inches of water though I did not go above 40 MPH at the time. As for the wear I mostly commute 40 plus miles each way and with some spirited outings have managed to put on just over 7.5 k and still think I can get another 5 or 6 k out of them. All in all am happy with them and will most likely replace with the same next year. On my second rear M7 RR. Love performance. Longevity not so much, average. On my Speed Triple at 36lbs cold, excellent performance. No "Fall over" feel. Flick overs are smooth. Will keep buying despite less than 2,500 miles. I'm putting these on my 04 R1. I'm a very aggressive rider. How will they be on my bike and for how I ride? What's a good pressure set up for them? 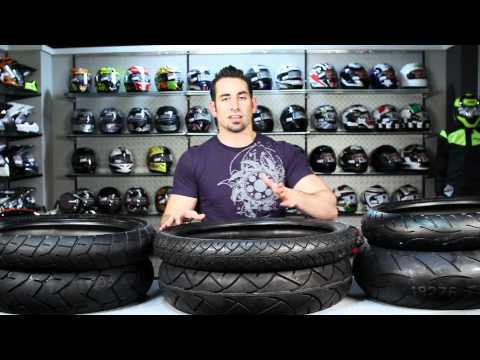 BEST ANSWER: I have these tires on a 14 ZX10R. Keep in mind it has traction control so it limits wheel spin. I ride mostly on the track but purchased these tires for the street. I have been very happy with them thus far. No complaints. I run around 24R and 28F PSIG cold but this is just my personal preference. For street application at this price point I will purchase again. I'm putting the Metzler m7 rr on my 2004 R1. How will they be on this bike I'm a very aggressive rider. What a good pressure run on them? BEST ANSWER: I run 40 psi.